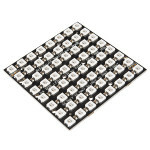 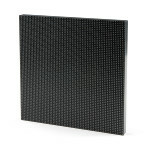 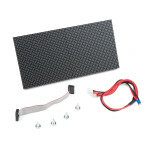 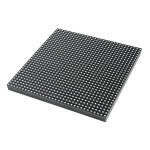 The SparkFun LED Array is a set of 56 red LEDs arranged in a nice 8x7 grid. 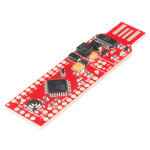 This little board requires eight pins while the library supports any ATmega 168 and 328-based Arduino device. 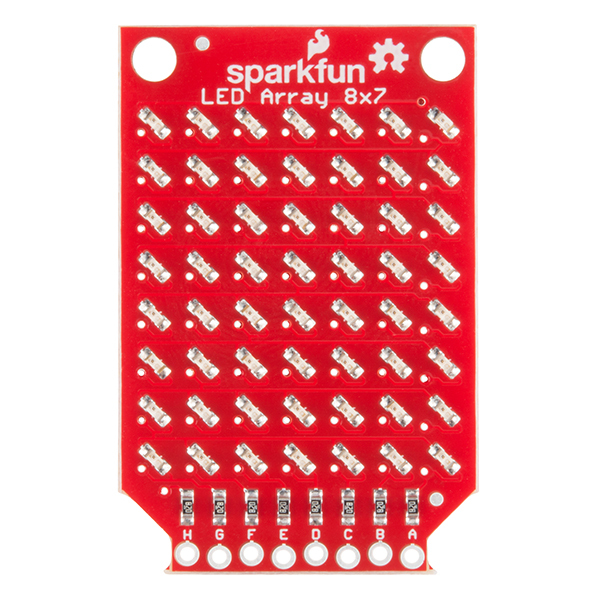 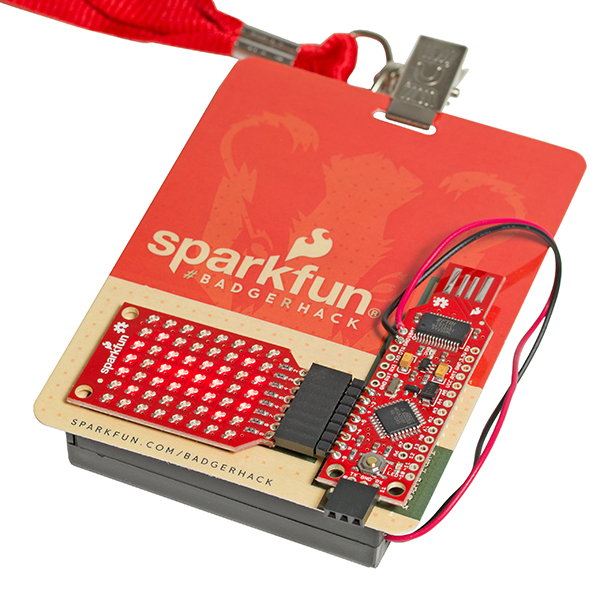 The SparkFun LED Array was developed to be used in conjunction with the BadgerStick as a fun and interactive way for people to learn about soldering and engage with SparkFun products at the multiple trade shows we appeared at. 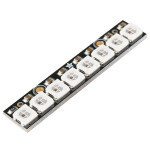 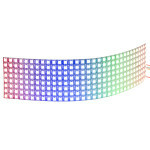 Now this LED array is available to everyone! 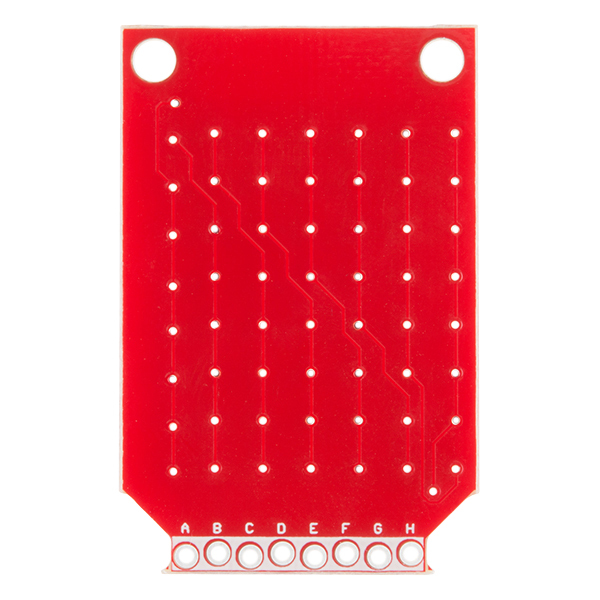 This board relies on the Charlieplexing technique to control individual LEDs, which means less GPIO pins are used (as opposed to a traditional grid format). Through the use of Charlieplexing we have been able to control all 56 LEDs with a total of only eight pins (labeled 'A' through 'H'). 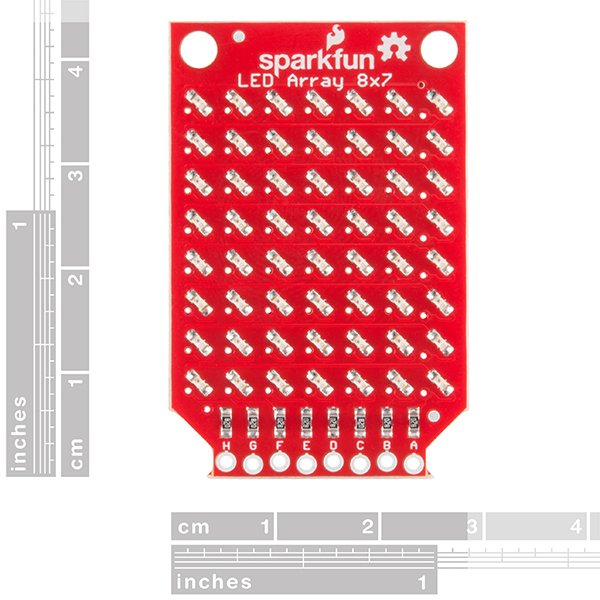 With a little bit of code you will be able to cycle through all combinations of the pins to turn each LED on individually, and if cycled fast enough, you can create simple images and text! 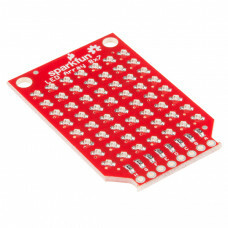 The SparkFun Roshamglo is the new and fun way to play Rock-Paper-Scissors with your friends! 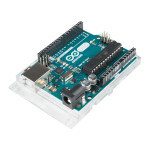 The boa..